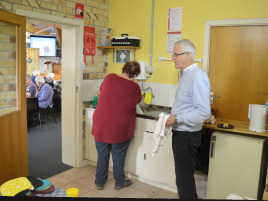 Hospitality takes many shapes and forms in our churches. It could be a warm conversation in your church's foyer especially to new visitors, a women's cuppa after Sunday's mass. Also organizing a benevolence meal ministry, making small-group members comfortable, and more.